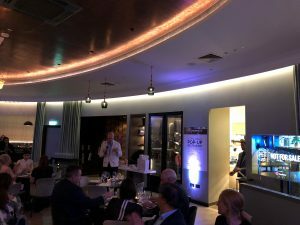 Yesterday we were invited to a special event of the opening night of M IS NOT FOR SALE – a two-week temporary restaurant inside M Victoria Street which supports Professor David Batstone’s NOT FOR SALE organisation. 100% of the profits for the special menu being donated to the charity, which fights and provides solutions to modern slavery, human trafficking and forced labour through self-sustaining social projects with purpose driven business. Thank you M grill restaurant for the amazing opportunity to participate in such a great event. It was an opportunity for us to significantly increase our awareness of this tragedy and we will continue to champion the cause!